When this family realised they needed a family friendly redesign of their current home, they came to Resi. 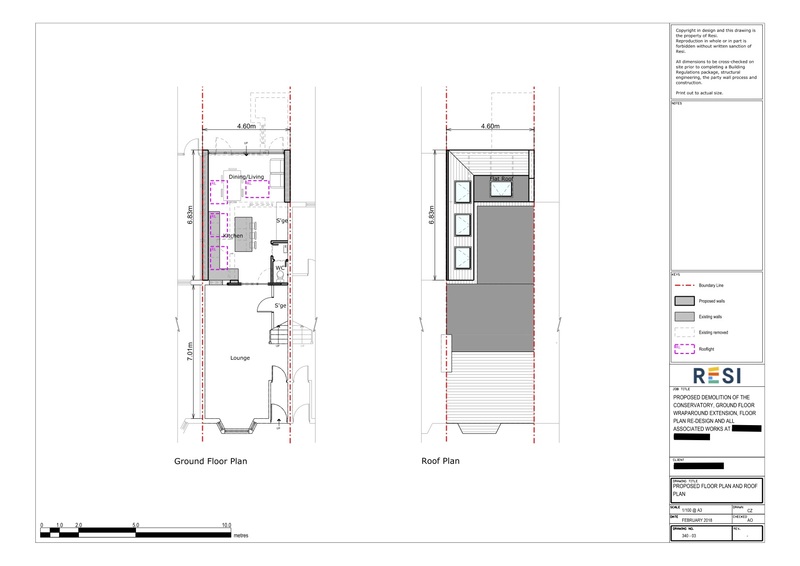 Our architects drew up a plan that involved the removal of the rear shower room and conservatory in order to expand the kitchen and dining area, forming a large, open plan living space. This renovation not only maximised the floor area available to our client, but created a home that encouraged spending time together as a family. Our client’s primary request was the inclusion of an open plan kitchen, with a combined dining and living space - bi-fold doors and a central island with a breakfast bar were vital for this kitchen area. In order to organise toys and trinkets that are seemingly endless in a house with young children, our client wanted to include the maximum amount of storage available to them in their extension. Their expressed style was space saving, functional, and young family efficient. 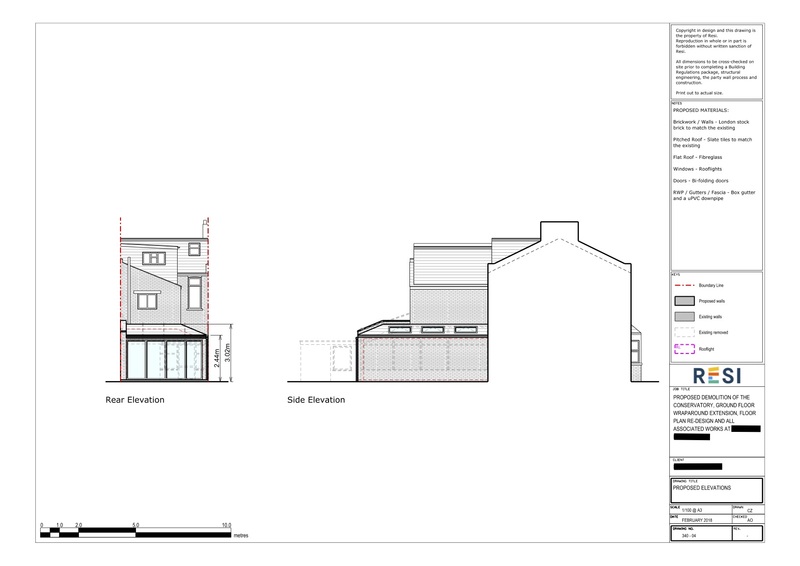 We drew up a plan that involved replacing the existing conservatory with a ground floor wraparound extension. Not only would this maximise the available space they had within their boundary lines, but add value to their house. From here, we knocked down the internal walls separating the kitchen and conservatory, allowing for a spacious, open plan kitchen and living area. Within this we added four skylights to brighten up the room, and a space for storage in order to minimise clutter.